Every day close to 9,100 new cases of diabetes type 2 is reported in India. India has the largest population of people living with diabetes in the world, and as such, India has gained the infamous title “the world diabetes capital.” According to Webster’s dictionary, diabetes is a serious disease in which the body cannot correctly regulate the amount of sugar in the blood because it does not have sufficient insulin. Previously Diabetes was associated majorly with the older people. However, diabetes is appearing at a much earlier in age at an increasing rate. This means that chronic long-term complications of diabetes will become more prevalent in India than any other nation in the world. With such high rates of prevalence amongst younger and economically productive people, it becomes clear that you ought to get a health plan or a critical illness insurance plan that covers diabetes or regret later. Below are the reasons that support this assertion. The costs associated with medical care in India are increasing at an estimate double the rate of general inflation. The cost of caring for diabetics is similarly growing at 18% every year. In the event that you are diagnosed with diabetes, without an insurance cover, the cost of caring for and managing the condition will quickly wipe out your investments and savings. It will leaving your family in almost destitute condition. Diabetics often develop chronic long-term complications that require specialized treatment procedures such as Retinopathy, Amputation, and Coronary angiography, with an average claim amount of Rs 50,000 per year to cater for these procedures. Out of pocket, payments are therefore unsustainable for anyone when it comes to diabetes treatment. A standard hospital (indemnity) plan that covers against the illness is available to those who are found not to have any trace of diabetes. This is a much cheaper option than a specialized diabetic’s health plan. For example; for an annual premium of Rs 6000, you can get a standard hospital cover of Rs 5 lakh. However, a diabetic would have to part with a premium of Rs 17,000 for the same amounts, even though he or she may not have developed any complications. 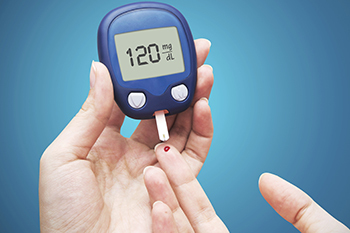 Diabetes may have been detected while undergoing a medical checkup prior to procuring a health insurance plan. It is advisable for you to take medical insurance sooner than later since you will probably outlive the pre-existing condition waiting time as stipulated by the policy. This means that in the event the condition develops chronic complications, there will be sufficient insurance cover as the waiting time will have lapsed. Whether diagnosed of not, avoid regrets by ensuring you have a right health insurance cover against diabetes.